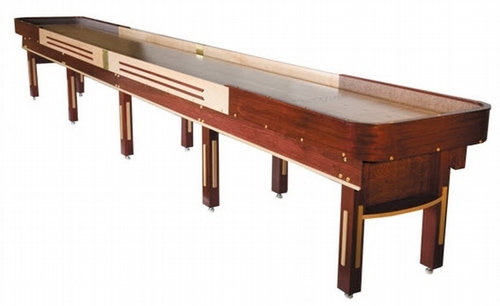 For a traditional shuffleboard table, The Classic Cushion offers both style and function. The Classic Cushion is 12’ long, perfect for a home game room or to add to a bar. Highly durable, The Classic Cushion is made to last. Features traditional scoring in the corners and a lifetime warranty on playfield and finish. The Grand Deluxe features nostalgic design paired with strength and durability. Scoring and foul lines are silk screened into the 3-inch-thick playfield. The cradle is steamed before being bent into shape for remarkable strength. The Grand Deluxe is available from 12ft to 22ft tournament sizes. 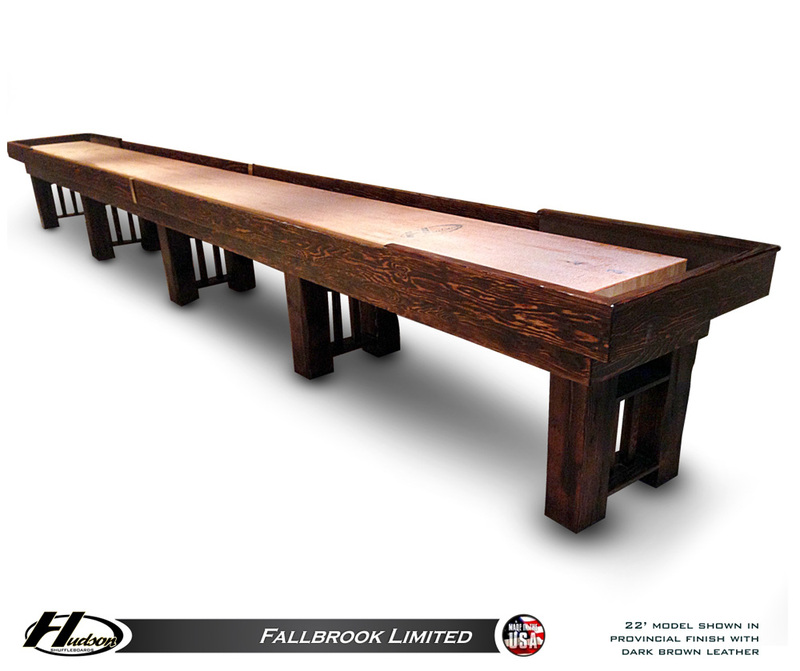 The Fallbrook Limited offers a rustic look combined with a professional board. 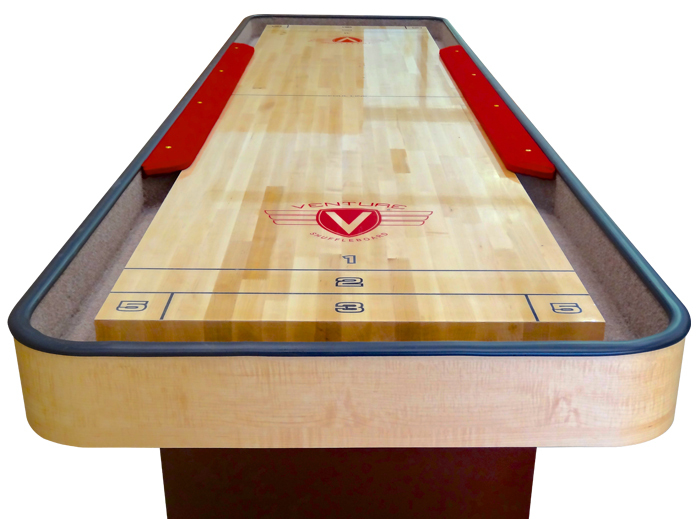 This made-to-order board is available in four finishes and up to 22ft tournament size. This table is optimal for outdoor play as it can be weather proofed and optional glow-in the dark playfield. Playfield is made of hard rock maple and lifetime warrantied polymer finish. Quality—Poor quality shuffleboard tables will lead to cracking playfields, busted table legs, or worse. To avoid continual repairs or repurchases, look for a table made of high-quality materials with sturdy construction. Look for a table crafted of beech, maple, or mahogany. Tables made exclusively from plywood will not be as strong. Tournament tables will outlast and outperform their plastic and plywood component counterparts. Be sure that your table includes climatic adjusters. 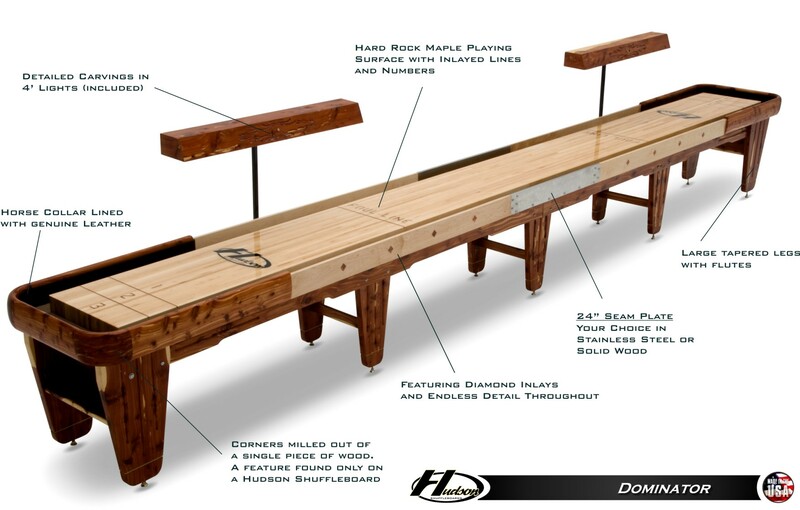 Durability—You want your shuffleboard table to last through hours of game play. Look for materials such as steel hardware and solid hardwood in the material listing. The playfield should be rock-hard. Design—The design of your new shuffleboard table is important. If the table is going in your home game room, the design should be similar to the other furniture in the room. The design should be appealing to the eye. Commercial shuffleboard tables need to look enticing and should also complement other furniture or game boards in the room. Indoor/Outdoor—If the shuffleboard table is to used outdoors, be sure you choose a table that is meant to be used outside. These tables are treated to ensure top quality remains the same through weather. Indoor tables are not intended to be used outdoors. Custom Options—Customizing a shuffleboard table allows you to have the exact right table for your space with finish, size, and other detail options. USAA Sanctioned Equipment—If you are training or plan to host shuffleboard tournaments, look for tables that fit official professional requirements. 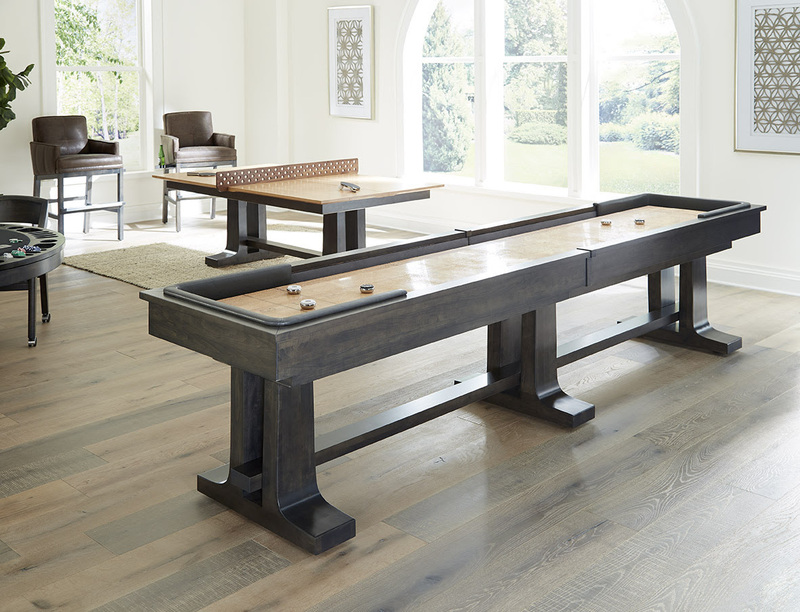 Finding a professional shuffleboard table for your home, bar, or rec room is the first step. Shuffleboard accessories from Shuffleboard.net will keep your table in tip top shape so you can work on your game. Our prices are the best available and we always offer free shipping!